Yet another news report adds to the urgency of advancing support for counter-drone technology. Yesterday’s assassination attempt on President Nicolas Maduro, ostensibly conducted by so-called “suicide drones” which would make it the first weaponized UAV-based assault on a Head of State. From the limited video available President Maduro and his group were looking into the sky at something in front of them, and Mrs. Maduro flinched and ducked from an explosion that appears to have injured several soldiers assembled for the event. This supports the belief that UAVs flew over the assembly and at least some of them exploded. Quadcopter or Radio Control (RC) Drones? It is clear what these UAV’s looked like. They may have been versions of the currently popular off-the-shelf quadcopters, easy to fly and highly maneuverable but with low lift capacities and endurance (flight time). More traditional fixed wing Radio-Control (RC) aircraft can generally lift more and stay in the air longer, so the type of aircraft says much about the operational part of the mission. Purpose-built fixed wing UAV’s controlled autonomously by GPS were used in an assault on a Russian base in Syria last January. It is also not clear how the explosives were detonated, either by remote command, a timer or a rifle bullet from Venezuelan troops, as apparently at least some of the weaponized UAV’s were shot down. State security forces the world over position snipers on nearby rooftops at sensitive events. UAVs are notoriously difficult to bring down with small arms fire from the ground, but an experienced marksman with a well-sighted rifle shooting down on the target would probably be successful, assuming a clear field of fire. With only First Person Video (FPV) as a sensor, the weaponized UAV Operator would not know that his aircraft was under assault, so he would not know to evade. This part of the story from the scene is at least plausible. Whether or not the Venezuelan Security Forces possessed and deployed any other counter-drone technology measures is not known. 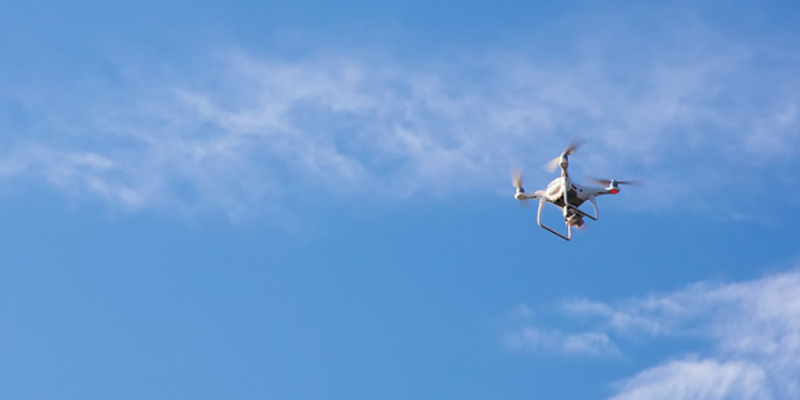 While there are a number of counter-drone technology companies world-wide, the use is fairly limited and mostly available only for military or defense use. It is important to analyze the details of each of these attacks, whether or not they were successful. Islamic State effectively wrote the playbook for an insurgent UAV program, and we know from experience that they learned from each deployment and adapted very quickly. This assault on President Maduro may have had successful assassination as a stretch goal; success was realized by forcing Venezuelan Security to orient to a new threat axis, see how they reacted, and gain real-world flight experience in combat (a problem for any air force). What is clear from the global perspective is that this is just one more incident in a rapidly evolving threat, beginning with Islamic State that traditional military and security forces are not currently equipped to handle. The materials necessary to initiate a program are easily obtainable and difficult to control. A program can be initiated in any developed country, including United States. Less than two months ago DHS officials testified before Congress that “we are unable to effectively counter malicious use of drones” in U.S. airspace. What happened in Venezuela yesterday can happen here. What is needed now is critical thinking about the engaged foe, his knowledge and his intentions so we can predict the threat that will eventually confront us. A variety of counter-drone technologies are available today, although most Electronic Counter-Measures (ECM) counter-drone technologies may not legally be deployed in the U.S. except by some selected Federal agencies. There are privacy and personal property right implications to deploying any counter-drone technology domestically that must be considered. The United States needs move much more quickly to evaluate available counter-drone technologies effectiveness and conformance with our privacy laws and uninterrupted communications needs. It is hard work, but if we don’t do it, a catastrophic event or series of events may force us to act before we understand what we must do. This is first in a series of articles about counter-drone technology, or c-UAS. This is a rapidly developing global situation with potential impact in the U.S. and it requires more attention than it currently receives. 5 Ways to Help Your Sales Reps Make Quota	UAV’s and Wildfire Management—Can Our Firefighters Afford What They Need?